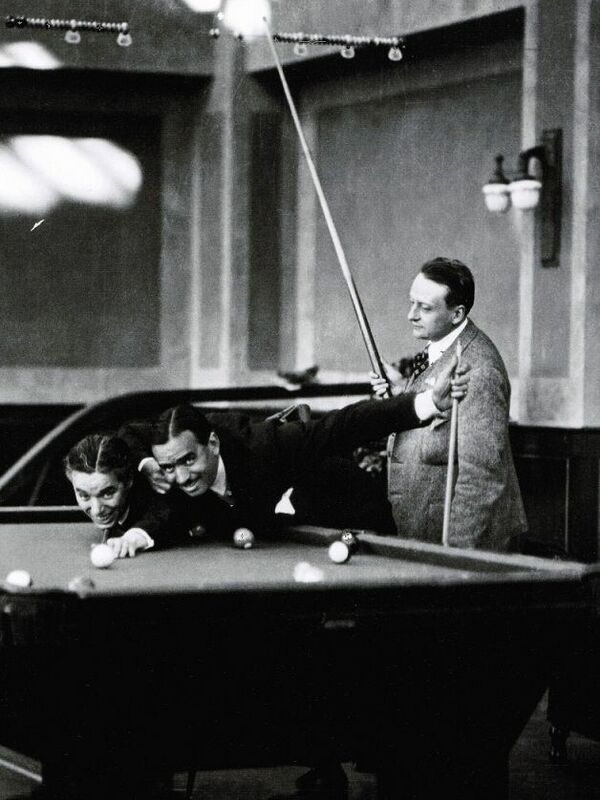 From left to right, these are Charles Chaplin, Douglas Fairbanks, and Edward Knoblock. Edward Knoblock (1874-1945) was born Edward Gustavus Knoblauch in New York, the fourth of eleven children of a wealthy American businessman of German extraction. He was determined to be a playwright from his late teens, and he moved first to Paris and then to London, where he settled. He became a British citizen in July 1916, and changed his surname to Knoblock a month later: at least, this is the date given in the ODNB, but his own autobiography certainly says that it came soon after the sinking of the Lusitania, which was 7 May 1915. His most famous play was Kismet, a fantasy loosely based on the Arabian Nights: it was first produced in 1911, and filmed in 1930 and 1944 (the latter with Ronald Coleman and Marlene Dietrich). It became a musical in the early 1950s (music courtesy of Borodin), and the musical was filmed in 1955. Knoblock’s first novel, in 1929, was The Ant-Heap, about a scientist who creates a race of insect-beings to replace humanity: see the Encyclopedia of Science Fiction. Knoblock was born in a brownstone between 5th and 6th Avenue, 60 West 17th Street, in the days when the area north of Fortieth Street was largely wilderness, punctuated by the odd house and the shanties of poor Irish immigrants. When he was five, they moved to the newly developed 44th Street, “a very remote neighbourhood in those days”; he remembers a horse dropping dead, and his father spending three days trying to get the authorities to remove it. Knoblock’s mother died in 1880. His father remarried in 1885, but died in 1887. Knoblock’s stepmother took the children to Germany; she became a professional pianist, and encouraged Knoblock in his piano-playing too (though seriously disapproving of his improvisations). Knobloch started writing plays as early as the age of twelve; his numerous siblings would play the parts. In 1890, thanks to a large bequest from an uncle, the family returned to New York. When he was eighteen he announced he would become a playwright, and his stepmother agreed, as long as he did a degree first: he graduated from Harvard in 1896, having studied drama and theatre studies among other things. That year he went to Paris to study the theatre, but moved to London in 1897, and soon began to regard that as home. He worked hard, and made the necessary contacts, and his have some plays performed, in London and in New York. Success did not really come until Kismet in 1911. After his military service (which came soon after he took British citizenship), he divided himself between London and Hollywood. He worked for the film company founded by Douglas Fairbanks an Mary Pickford, and did various dramatisations of works by J.B. Priestley, Arnold Bennett and others. Eric Salmon reckons that he had between thirty and forty plays produced in London or New York or both between 1911 and 1945. He published four novels, and Round the Room: an Autobiography (1939). My information comes from Eric Salmon’s entry in the Oxford Dictionary of National Biography, and from Knoblock’s Round the Room: An Autobiography (London: Chapman and Hall, 1939).